Given the current state of the magazine industry with everyone fighting for prime position, cutting publishing frequency or forced to go digital, you have to admire the magazines that stay true to their identity and power through the tough times. British Harper’s Bazaar is one such magazine that shows no signs of changing anytime soon, much to the delight of our forum members. Emily Blunt was practically perfect in every way on last month’s cover, Keira Knightley was the quintessential Bazaar woman in December and Maartje Verhoef provided a simply stunning cover for November. 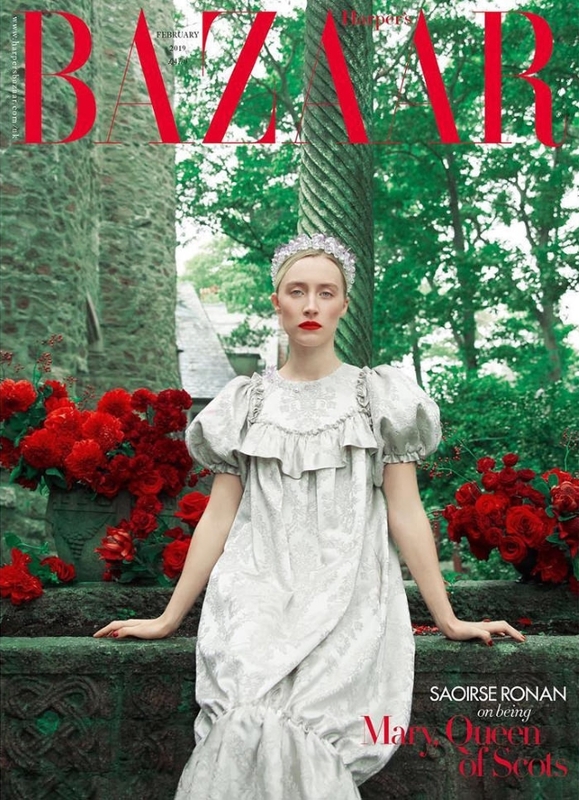 Now, actress Saoirse Ronan appears perfectly poised as Bazaar‘s cover girl for February 2019, photographed by Erik Madigan Heck and styled by Leith Clark on location at Hammond Castle in Gloucester, England. For our forum members, the cover was love at first sight. “A lovely shot. I love how regal and elegant she looks. So classy – no pout or other gimmick in sight. Her makeup gives me Carolyn Bessette Kennedy vibes,” commented Morgane07. “This is such a stunning cover! Shows how beautiful Saoirse is and does her far better justice than her US Vogue cover. I just love how Bazaar has executed this – just like last month, I know straight away the film she’s promoting without it being tacky or costume-y,” admired 333101. “Saoirse doesn’t really need to do gimmicky poses for you to be stunned by her. I love this cover very regal and strong,” xandroh complimented. “Wow, stunning cover! Erik Madigan Heck is back with a bang. Indeed very regal, and slightly cold, but such a classic beauty. Looks instantly collectible. I’m more impressed that it’s not only a perfect accompaniment to that movie, but it also lives up to this magazine’s aesthetic,” raved Benn98. 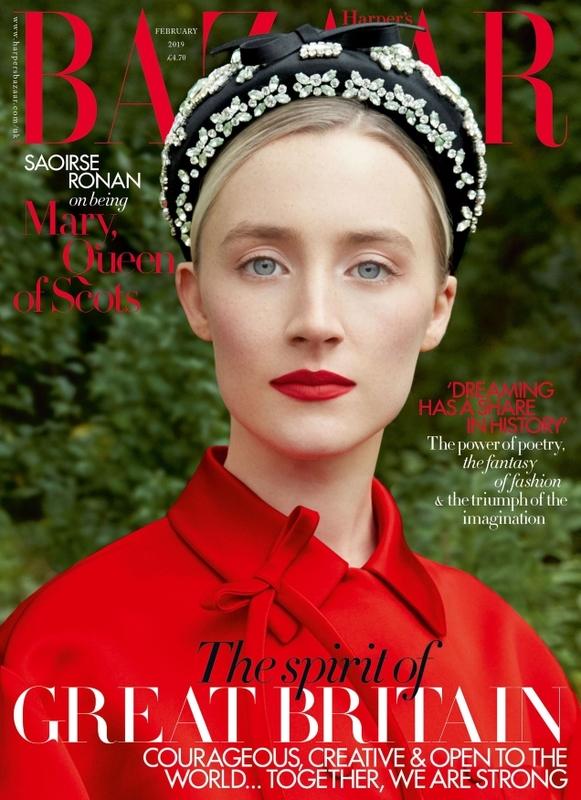 Check out Saoirse’s accompanying cover shoot and join the standing ovation here.